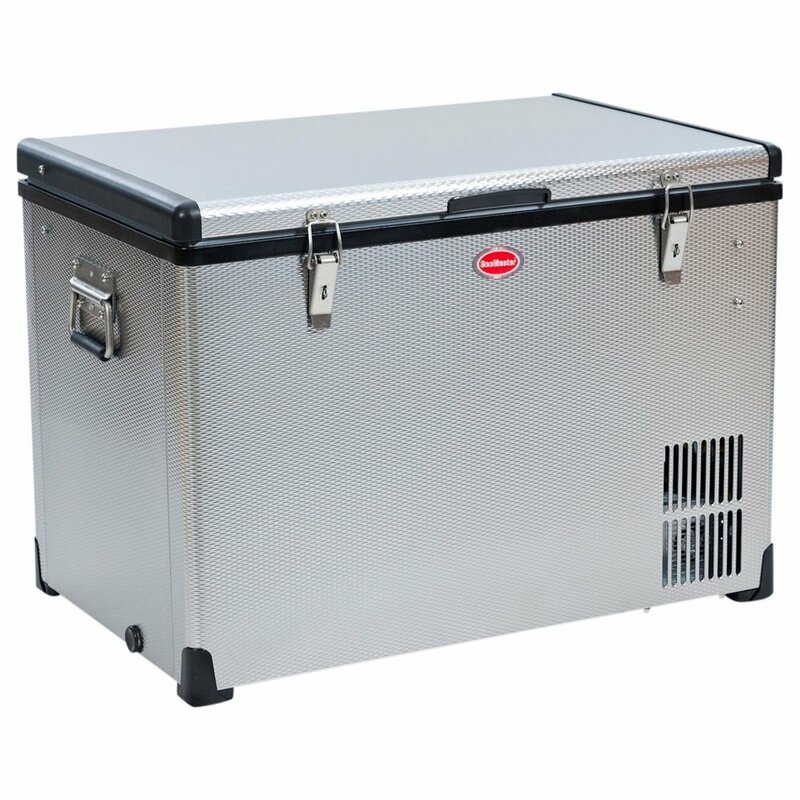 Constructed for tough use in Africa, the fridges and freezers from SnoMaster are unique to the market, in many respects. They have been created with first priority to their customers, and no compromises have been made with respect to limitations or practicality. The coolers are regularly redeveloped in great detail. That is why SnoMaster series fridges and freezers can’t be beat. 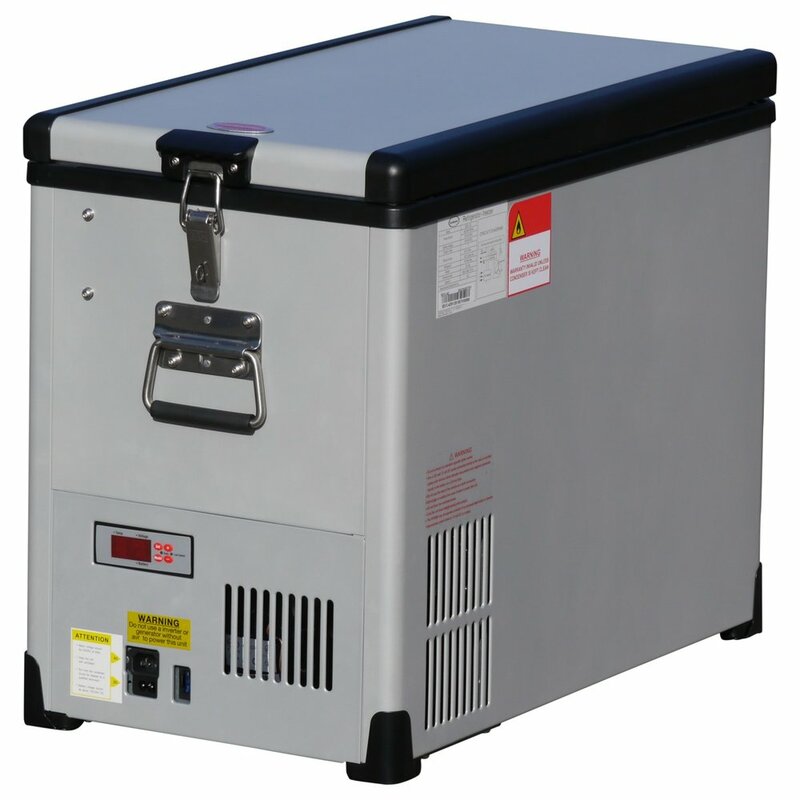 In order to guarantee the best cooling performance, SnoMaster has developed its own compressor for transportable fridges and freezers. Even in the harsh environment of an off-road vehicle and at extreme temperatures like the desert, they still operate reliably. The compressor is designed to withstand dust and dirt, violent vibrations, as well as driving up and down steep hills. The temperature can be set for each cooling compartment in 1°C increments between 10° and -22°C, using the control panel. As you require, each compartment can be used as a fridge or freezer. There is no fixed partition between the fridge and freezer compartments or a fixed temperature difference, as there is with competing coolers. For coolers with two compartments, you can choose between using them as two cooling compartments, one freezer compartment or two freezer compartments. 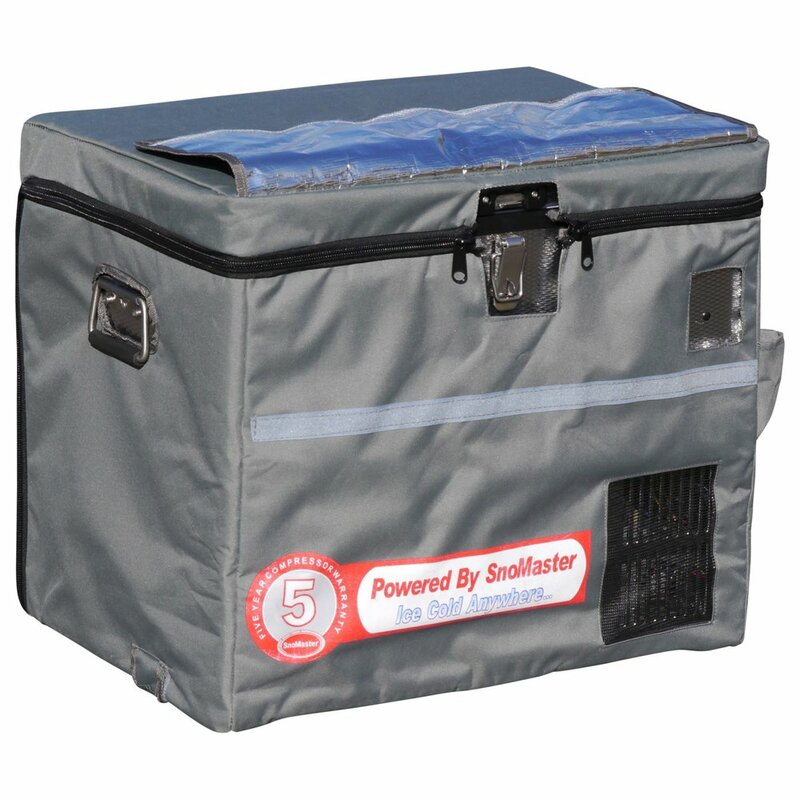 An invaluable advantage of the SnoMaster coolers with two cooling compartments, apart from the space-optimized model SMDZ-TR82D, is the separate flip cover for each compartment. Each time the cover is opened, it inevitably causes the temperature in the cooler to rise slightly and then need to be cooled down again. With two separate covers, this problem is eliminated and frozen food is not unnecessarily thawed. Available with varying capacity of 12 to 95 Liters in one or two cooling compartments, the coolers are divided into four series. 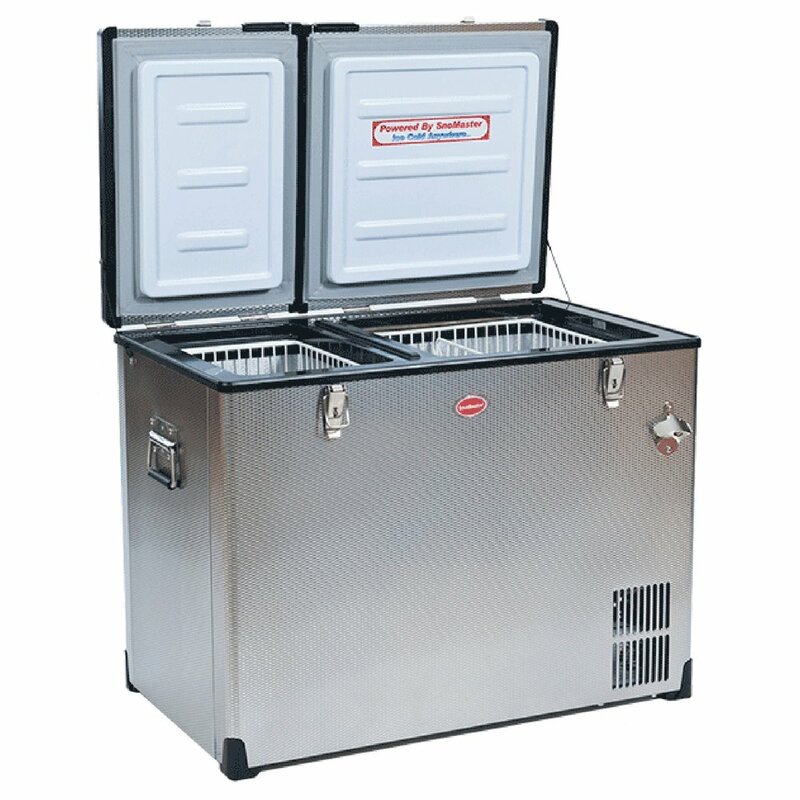 The Classic Series and Expedition Series fridges and freezers are the top models of SnoMaster. The outer shell, interior and all fittings are made for a long life mostly from stainless, or hard-wearing stainless steel and aluminum. The powerful 66 Watt compressor ensures the best cooling performance. 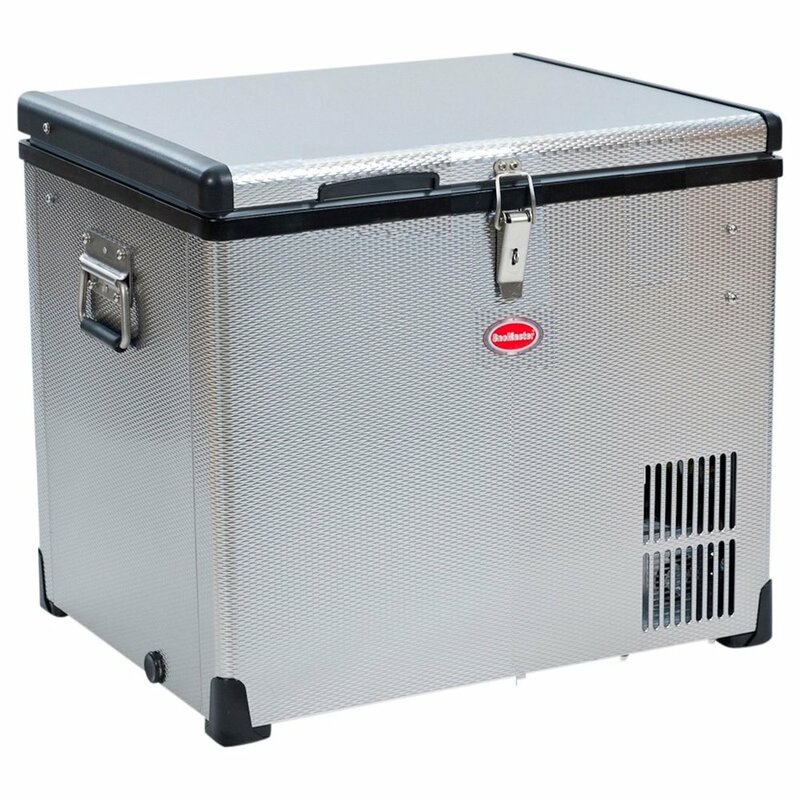 The coolers can be operated with 12 and 24 Volt DC and 100 to 240 Volt AC. 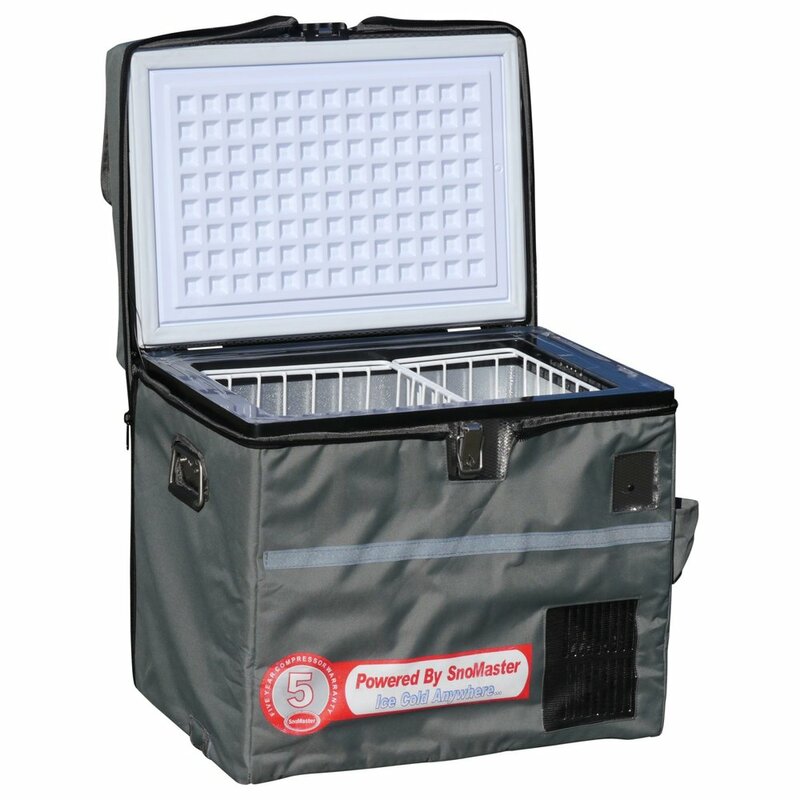 The fully equipped coolers come with metal insert baskets, protective cover, bottle opener and battery monitor, at no extra charge. 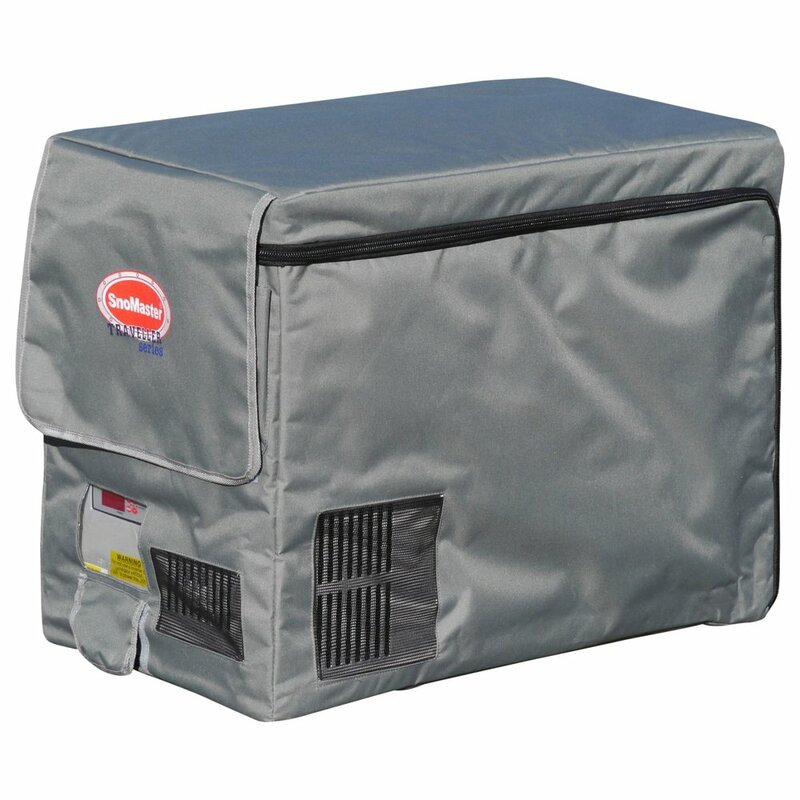 In order to protect frozen food in particular from thawing, all double-layered coolers are equipped with two folding covers. The distinctive features of these two series is in the strength of the polyurethane insulation, 60mm for the Classic Series and 70mm for the Expedition Series. SnoMaster has introduced an attractive alternative for users with limited space, by creating the Traveller Series fridges and freezers. 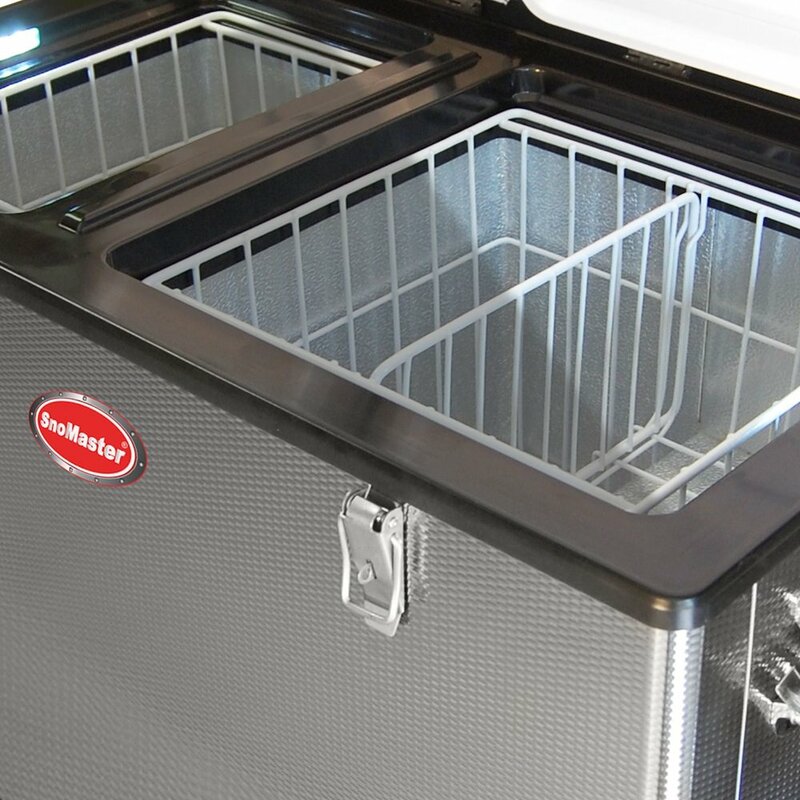 With reduced insulation thickness and only one common lid for coolers with two compartments, smaller dimensions allow a more useful space-saving cooler. The outer covers are made of powder-coated steel or stainless steel, the interior is made of aluminium and plastic. All fittings are made of stainless and hard-wearing stainless steel or aluminium for a longer lifespan. Scope of the delivery, technology and compressor correspond to the models of the Classic and Expedition Series, only the control panel is smaller with the SDMZ-TR42. 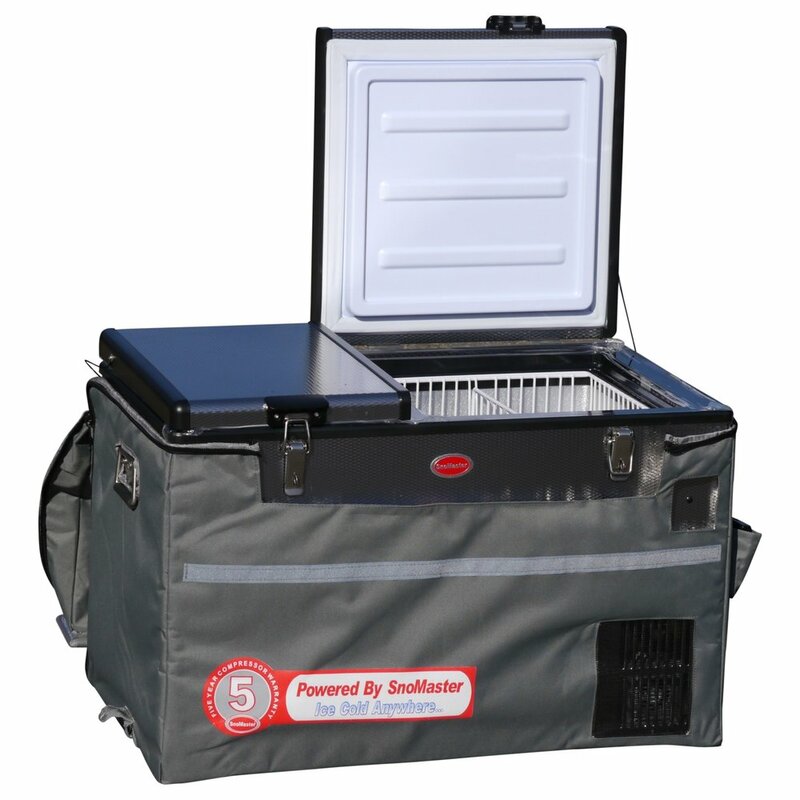 The fridges and freezers of the SnoMaster Leisure Series are compact and high-performance coolers for use in the vehicle cabin or trunk. They are ideal for daily use, short trips, camping, picnics, barbecues or even shopping. Because of the plastic housing they have a lighter weight and are more easily portable. Due to the reduced thickness of the insulation, the ratio of outer dimensions to capacity is better, compared to the coolers of the other series. The 12 Liters model is so compact that it can be easily stored in the vehicle cabin. They are equipped with the same reliable technology and the same powerful compressor (except SMDZ-LS12) as the models of the other three series.